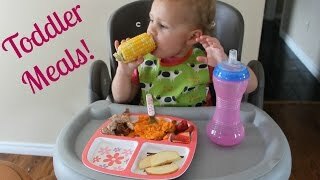 Watch more How to Feed Your Baby videos: http://www.howcast.com/videos/359874-How-to-Teach-Your-Baby-to-Feed-Themselves With a little practice and coordination, your child will be eating independently in no time. Put the jar and spoon away and give your arm a rest.. Step 1: Prepare for mealtime Prepare your child for mealtime by placing them in a high chair. Get ready for the fun to begin. Tip Make it a ritual to wash their hands before every meal. Step 2: Introduce finger foods Introduce finger foods, such as cooked pasta, soft fruit, and steamed vegetables. Step 3: Cut food Choose foods that are not too slippery or too hard. Cut the food into bite-size pieces. Tip Avoid giving your child peanuts, shellfish, and egg whites before the age of one, as these can cause allergic reactions. 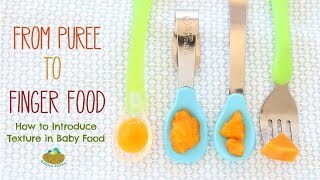 Step 4: Introduce spoon Introduce them to a baby spoon once they can pick up food with their fingers. Step 5: Put food on spoon Put food on the spoon and help them put it in their mouth. Step 6: Let them practice Let them practice feeding themselves. Some food will surely end up in their hair and on the floor, but with practice it will eventually end up in their mouth. Step 7: Encourage them Encourage them to keep trying. Get your wipes ready. Did You Know? In 2008, approximately 31 million children participated each month in the national school lunch program. 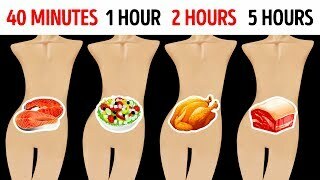 Related Videos "How to Teach Your Baby to Feed Themselves"